As I sat in my cubicle working last weekend, I couldn't help but wonder if this might be the last weekend I would be wearing my uniform. Although my exemption paperwork is at the final step in the process to avoid the trans military ban, I don't know if it'll be processed on time. Today, I may go from being a soldier to being fired from my job. Nearly 13,700 trans service members are expected to lose their careers as the ban begins to take effect today, including the looming possibility of me being one of them. And if I stay and am able to skirt by due to narrow exemptions, some will say "see, there was nothing to worry about." But this is dense, and I will not "win" either way. 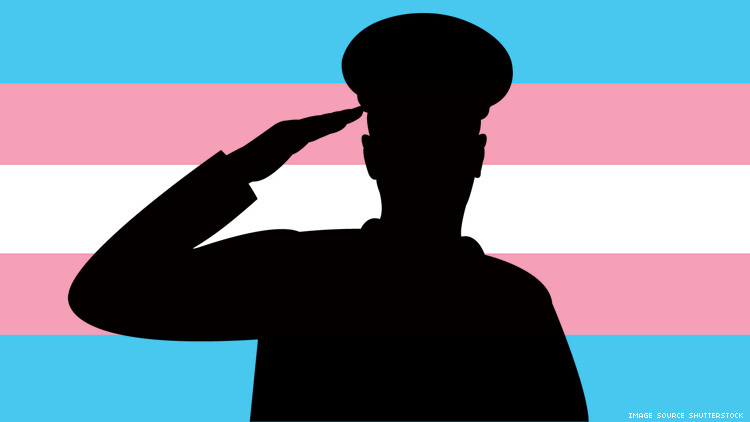 Under the trans ban, there will be continuous reminders of being different when commanders don't understand regulations or think that people like me should not remain in service at all. Already there are remarks from other service members questioning my dedication and willingness to serve as the ban has loomed. If I am allowed to remain in the Army, I will continue to meet and do my best to exceed every standard. I will pursue leadership opportunities and take advantage of what the service offers. I will deploy readily and willingly. I will continue to serve, just like any cisgender service member. But if I am discharged, the fallout will be massive. I’ll be required to pay back almost $100,000 to the United States due to education loans obtained by serving. I will need to find another job on top of being a graduate student, and I might have to push the pause button on my PhD altogether. And then, it’s very likely I will lose the house and life that I have built with my family as the financial burden hits of having my livelihood pulled out from under me. My legal counsel has advised that if my paperwork does not go through today then we will seek a waiver and continue to fight this battle. And while counsel has said that they have made headway today, it feels like I am losing the fight. Within the next 24 hours, I will know if I am staying in the armed forces, and even if so, this will be far from over. I will have to keep fighting to stay in uniform and am expected to maintain integrity and professionalism when we, as a class of citizens, are not even wanted by the people we serve. We will only continue to be treated like a lesser class because we live as who we are. And there are moments lately that I even question: Why do I continue to protect and serve those who do not even want me to exist? As time goes on, this ban will get buried in the news media, and thousands of service members will be forever affected by bigoted policy that is a ban, no matter how it is spun. But it will not disappear to those service members whose lives are now forever changed. As the ban rolls through and impacts the lives of thousands of us, we will be told we cannot serve because only one person — the president — refuses to recognize that biology is never binary. This ban is real and is affecting someone that you know. Political action doesn't just happen in faraway deserts and forests, it happens at home. And it's happening to me and my brothers and sisters in arms, who just so happen to be trans.